Paddle Chair Russ Faller leads our creek cleanups. If you have a boat of any kind, please come out and join Mid-Hudson Chapter (Adirondack Mtn. Club) members clean-up the lower Wappinger Creek. Spend as much time as you are able. We’ll pick up litter from the falls to the Hudson. If you boat on the lower Wappinger Creek, it’s your creek. Who else will keep it clean if you do not? The annual River Sweep does much more than remove trash from the waterways that give us so much pleasure and recreation – it connects people to the river and its tributaries that we love. Bring boat and gear. Wear shoes that can get wet and clothing that can get wet and dirty. Don’t forget the sunscreen and hat. Trash bags provided. Meet at 8 AM at the boat launch at 117 Market St. in the Village of Wappingers Falls. Please contact the leader if you’re coming. Leader: Russ Faller 845-297-5126 (before 9:30 PM) or russoutdoors@yahoo.com. My wife, Kathy, and I have been campground hosts at Heart Lake for 8-9 weeks during the past 8 years. Our week at Heart Lake is always enjoyable and we look forward to it each year. 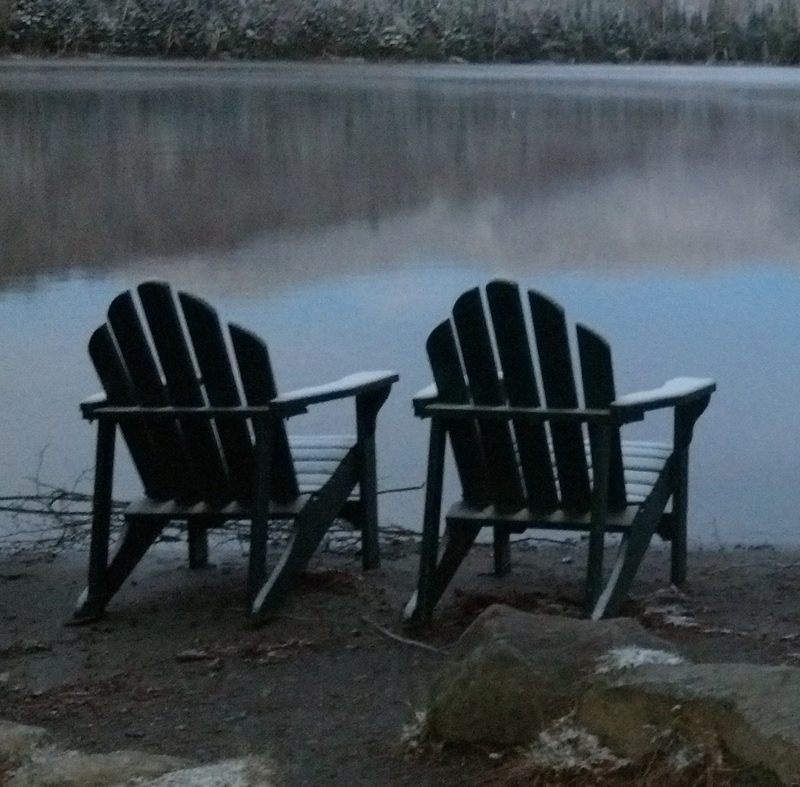 The campground host program is available to all ADK members by contacting the coordinator. This past year Doug Paquette, the coordinator of the program “retired” and I was asked to coordinate the host program for this summer. The week begins at 12 noon on a Sunday and ends a week later at 12 noon. A typical day for us begins early when we walk from the campground to the Loj to check our email using the Loj’s wifi. This is followed by breakfast in the dining room where we interact with the Loj guests and some campers who sign up for breakfast. Experiences hiking the High Peaks are exchanged; “newbies” are given advice; when asked, we suggest trails and hikes to inexperienced hikers, etc. At 8am, we check in at the front desk and provide with a list of late camping arrivals to contact about registering at the Loj. Sometimes there are other messages to transmit to campers. We make a circuit of all the campsites picking up litter as we go. We check the washroom to ensure both have necessary supplies. Usually we finish our loop between 9 and 9:30am and again check in at the front desk to let them know of any problems. At that point, we are free for a few hours. We walk to the Loj kitchen to make our trail lunch then we usually hike somewhere that’s not too long—Rocky Falls, Marcy Dam, Mt. Jo, Mt Van Hoevenburg from Heart Lake or other trails in the vicinity such as Owl Head Lookout, Blueberry Cobbles, Rooster Comb, Baxter Mtn, Cooper Kiln Pond, Haystack Mtn (Saranac Lake), etc. With the campground responsibilities, there isn’t enough time to hike the longer High peak trails, although a few times I have climbed a high peak while Kathy did the host duties. Later in the afternoon, we make another circuit of the campground. This time, we check to see if campers who should have checked out actually left. We enter unoccupied campsites and pick up litter or other items that should not be there. We also check occupied sites where no one is around for food left out that bears and other animals would be attracted to. Since we are both musicians (hammered dulcimer, flute, pennywhistle) late afternoon is a good time for us to practice at our campsite. Dinner at the Loj is next with people extolling the day’s exploits and planning the following day’s hikes. After dinner we return to our site where we sell firewood after the High Peaks Information Center (HPIC) is closed. We usually sit around a fire reading between sales. Quiet hours are at 10pm and a staff member walks the campground at that time and speaks with groups who are too loud. Prior to the 10am quiet time, Usually 9:30-9:45 we make a loop in the campground to warn people of the impending quiet time. The campground has a short list of rules that we remind campers of during our interactions with them on each of our “walk-throughs”. If the above appeals to you, perhaps you’re interested in learning MORE ABOUT THE Campground Host Program. If so, email ADK.CGH@gmail.com. This email address can also be accessed through ADK’s website.